You might not have heard of Ken Murphy, but you are probably familiar with his work. It's awesome. He hacks gadgets to create blinking bug sculptures and analogue synthesisers that sound like Atari video games. Most recently, his DIY rooftop photography rig got him on the shortlist for a 2012 Vimeo Award in the experimental category. And he does his tinkering where others would hoard tomato sauces and Cheerios: in the 5.5sqm kitchen pantry of his San Francisco apartment. "The pantry was perfectly set up as it was. It was already a perfect workbench," says Murphy, a web programmer by trade. He got hooked on electronics in 2005 when a teacher friend asked him to help out a local high school's FIRST robotics team with his programming expertise. "The approach to programming a robot versus a web page is very different. It reintroduced me to working with physical objects," he says. "Computers can be so abstract. This reached something starving within me." 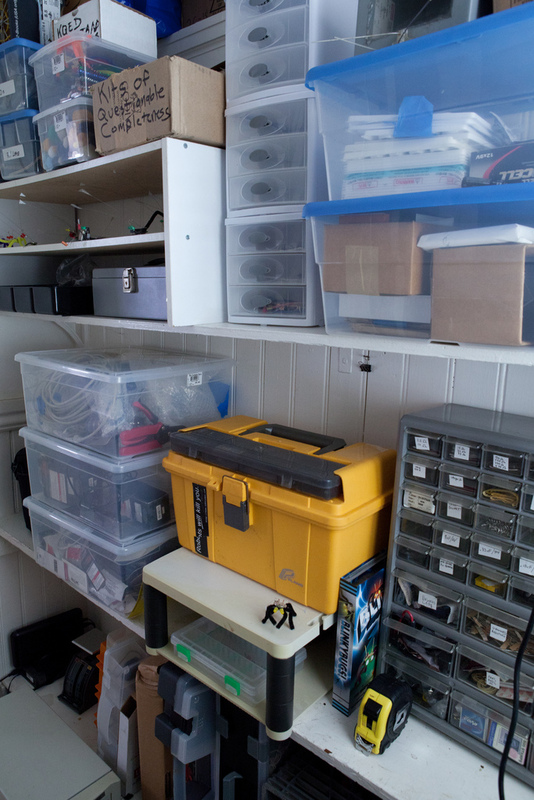 He stripped the pantry and filled it with a brand new Weller soldering iron, a fume extractor, storage bins to house miscellaneous electronics gear, and a breadboard, which allows Murphy to prototype and test circuits before soldering them. One of the highlights is his library of resistors, which he keeps in a simple grey storage bin with small drawers. 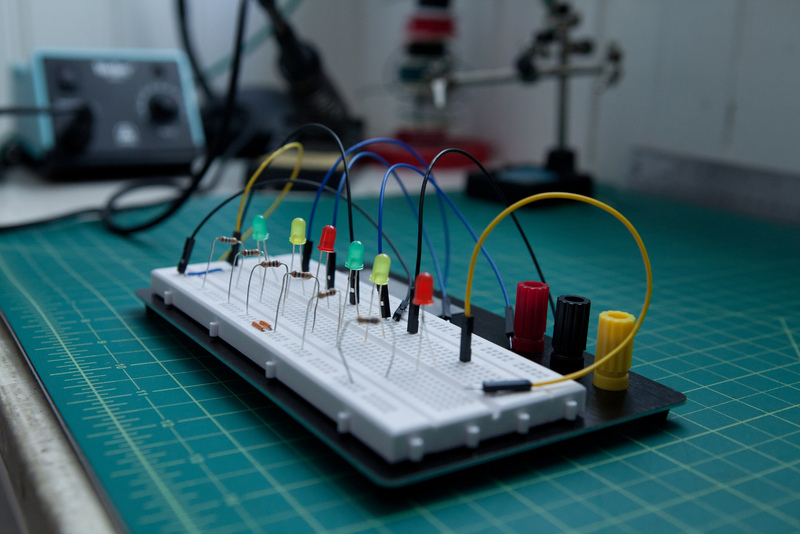 "One of the basic building blocks of any electronic circuit is the resistor," says Murphy geekily. In case you don't know, resistors limit the flow of electricity in a circuit to make sure components don't get more juice than they need. When Murphy first began tinkering with electronics, he wanted to create massive LED canvases that simulated cascades of dripping water or shifting patterns of light in the sky. 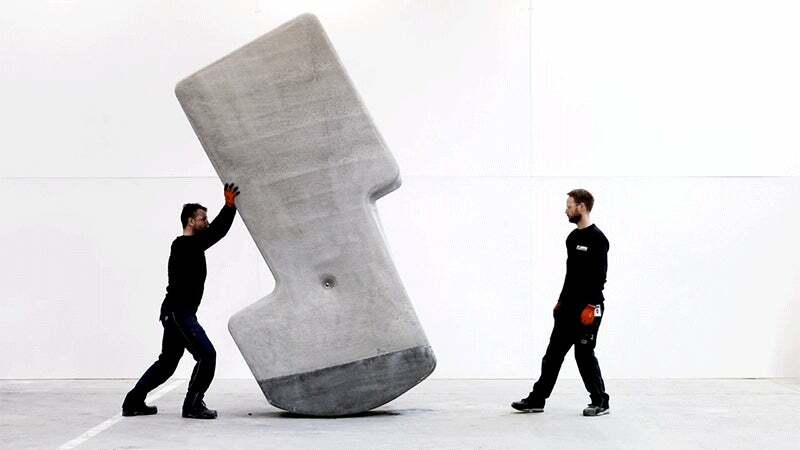 After a few false starts, he decided to create something simpler, something that required minimal parts, but still had an interesting function. "Slowly, I got this idea to make a little bug and to have it do something," he said. They're called Blinkybugs and they come in peace. These kinetic bug sculptures have coin-cell battery bodies, LED eyeballs, guitar string antennae, and bits of wire connecting the antennae to the LED leads. They flash their eyes in response to movement, vibration and even air currents. Murphy went to Maker Faire in 2006, a colony of Blinkybugs in tow, where he met a few people from San Francisco's Exploratorium. Now he's an artist-in-residence there. "This afternoon project changed the course of my life." His next big idea, a time-lapse video project for the museum, would require him to be able to take a picture of the sky every 10 seconds for a year. So he hunkered down in his lab and made a custom rooftop camera rig. "I built it out of off-the-shelf parts," he says. "It was a real Frankenstein rig." He used a small solid-state computer running Linux to control a Canon A520 digital camera, and an open-source program called gPhoto for remote image-capturing. An uninterruptible power supply, or UPS, gave the system battery backup, and the photos were stored both locally and downloaded to the internet through an ethernet cable. "Even if the network connection goes out, the camera can shoot pictures for a few days without talking to a computer." He built a tripod out of slotted metal and purchased an outdoor enclosure to protect the rig from the elements during its deployment on the Exploratorium roof. But the real complexity of the time-lapse project, which is a 2012 Vimeo award contender, was in the programming. "I'm taking 8640 pictures a day, over three million pictures a year," he says. "Cameras aren't usually designed to take that many. If you just dump that many pictures into a directory, that's a nightmare." Murphy used his programming chops to write a program on top of gPhoto that renamed each downloaded photo according to year, month, day, hour and second. "It's a huge archive that's very organised, so it is easy to zero in on an image on any day to the very second." Murphy assembled the photos into "A History of the Sky", a grand mosaic of 360 time-lapse movies, each representing a day in the life of the San Francisco sky. "Everyone is amazed at how many blue days there are in San Francisco," he quipped. Name: Ken Murphy Location: San Francisco, California Money Invested: "I didn't invest anything into the space itself," said Murphy. "It had a ton of counter space and storage space" as all kitchen pantries should. Prized Possession: A Weller soldering iron. 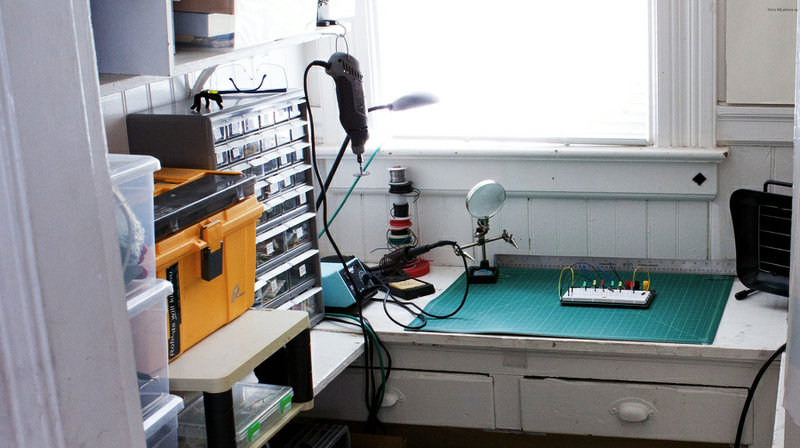 "You can get a really cheap soldering iron, but I sprung on a really nice station," said Murphy. "Having high-quality tools makes a big difference." Theft Deterrent: Not having anything worth stealing. "There's nothing really expensive in here. Robbers really wouldn't be interested," Murphy said. On the Wish List: An oscilloscope to test and debug electronic circuits and a bench-top power supply for clean, constant electric current.